Luke 6:31 (Part of the Top Ten Sayings of Jesus series). Preached by Pastor Jon Truax on January 14, 2018 (Sunday Morning). Matthew 16:13-28 (Part of the General series). Preached by Pastor Jon Truax on January 7, 2018 (Sunday Morning). Jeremiah 31:31-37 (Part of the General series). Preached by Pastor Jon Truax on December 31, 2017 (Sunday Morning). Preached by Pastor Jon Truax on December 24, 2017 (Christmas eve). Preached by Pastor Jon Truax on December 24, 2017 (Sunday Morning). Christmas: Not Everyone Gets It! Preached by Pastor Jon Truax on December 17, 2017 (Sunday Morning). Luke 1:1-25 (Part of the Christmas series). Preached by Pastor Jon Truax on December 3, 2017 (Sunday Morning). Philippians 4:10-12 (Part of the General series). Preached by Pastor Jon Truax on November 26, 2017 (Sunday Morning). Titus 2:11-15 (Part of the Science Hill series). Preached by Pastor Jon Truax on November 19, 2017 (Sunday Morning). Habakkuk 1:1-4 (Part of the General series). Preached by Pastor Jon Truax on November 12, 2017 (Sunday Morning). Revelation 21:1-5 (Part of the General series). Preached by Pastor Jon Truax on November 5, 2017 (Sunday Morning). Romans 3:21-31 (Part of the General series). 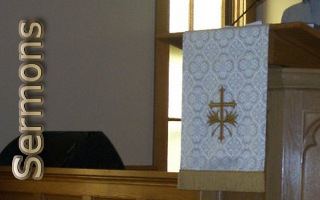 Preached by Pastor Jon Truax on October 29, 2017 (Sunday Morning). Matthew 5:42 (Part of the Five Marks of a Christian series). Preached by Pastor Jon Truax on October 22, 2017 (Sunday Morning). John 13:14 (Part of the Five Marks of a Christian series). Preached by Pastor Jon Truax on October 15, 2017 (Sunday Morning). Mark 1:35 (Part of the Five Marks of a Christian series). Preached by Pastor Jon Truax on October 1, 2017 (Sunday Morning).